​I like working with people to make awesome things happen! Game jams and indie demos provide the perfect opportunity.  In particular, game jams are extremely short time frame projects (24 - 48 hours), that result in experimental prototypes. I like to find teams interested in pushing the technology envelope, exploring Kinect, Oculus Rift, and other new technologies. I'm also drawn to quirky, creative game design ideas. Finally, I look forward to supporting friends and good causes, such as the In-Motion Game Jam, which is focused on expanding awareness for the concerns of the disabled. 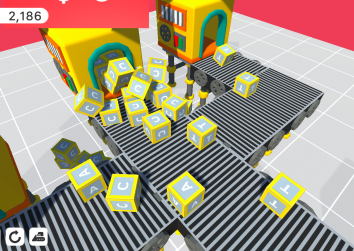 Buzz Word Factory, Global Game Jam, 48 hour prototype, 2018 - "Buzz Word Factory is a builder game in which you need to build an assembly line to combine letters into words to sell and make money! Time for system designers and scrabble junkies to unite!" Call of the Zombie, Global Game Jam, 48 hour prototype, 2017 - A two-person/ multiplayer VR hide-and-seek game using light and echo-location. One player is the Zombie; the others are Humans. 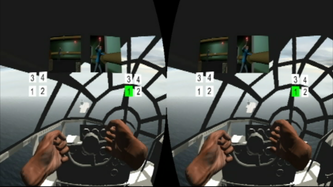 The game was developed with Unity3d for Samsung Gear VR and other VR devices. 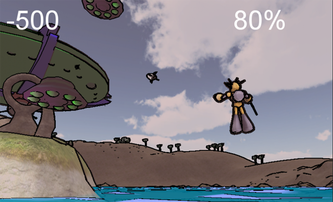 Equilibrium, SETI Game Jam, 48 Hour Prototype, 2014 - SETI Jam is a game jam presented by the SETI Institute. Game developers around the planet gathered "to create fun, educational games based upon the real science and data from some of the most advanced telescopes and NASA missions!" 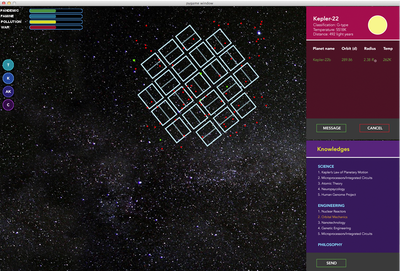 Our game "Equilibrium" uses real Kepler data as a foundation for a civilization-transforming quest to contact alien intelligence by searching the stars and sending messages. Top Dragun, Indie Game Jam, 48 Hour Prototype, 2013 - In this Oculus Rift flight simulator, you pilot a rickety, damaged B29 while giving commands to your crew engineers, Rosie the Riveter and Lefty O'Toole, who are responsible for maintaining the right and left sides of the plane. Sort This! IN-Motion Game Jam, 24 Hour Prototype, 2013 - The IN-Motion Game Jam is a non-profit fundraising hackathon that raises awareness for the concerns of people with disabilities. “Sort This!" 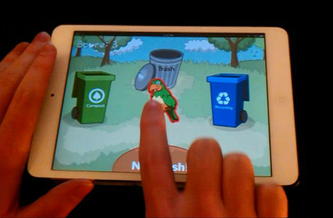 is designed for iPad, featuring simple gestures and a straight-forward lesson about community clean-up, with an emphases on recycling. My team won 1st Place. Dragon Dance, MolyJam, 48 Hour Prototype, 2013 - Dragon Dance is a rhythm game (prototype) developed with Unity3D for Oculus Rift. In this game, you take on the role of a daring knight who must control and tame a fierce dragon with the rhythmic swish of your sword and shield. 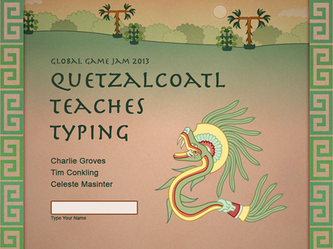 Quetzalcoatl Teaches Typing, Global Game Jam, 48 Hour Prototype, 2013 - An Aztec-themed RTS typing tutor game, featuring impossibly-named Aztec gods and human sacrifice. And typing. Recycle This, IN-Motion Game Jam, 48 Hour Prototype, 2012 - IN-Motion Game Jam is a non-profit fundraising hackathon that raises awareness for people with disabilities and the increasing movement of touchless control devices, like Kinect. My team won 2nd Place. 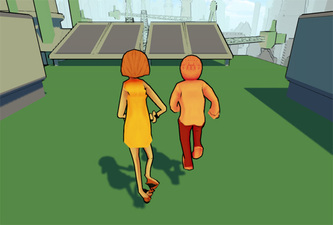 Path, MolyJam, 48 Hour Prototype, 2012 - Our game was based on this Molydeux Tweet: "Romantic parkour game in which you and the love of your life must hold hands and jump around a city evading death and injury." 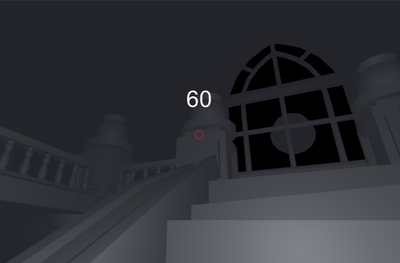 Built with Unity 3D. This game was later featured in EDGE Magazine. 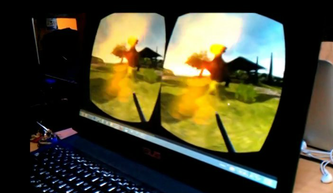 Infinite Robot: Sword, Global Game Jam, 48 Hour Prototype, 2012 (Uses Kinect) - Our project won a Kudos for “3D art” and one for “innovative use of technology” at the SoCho GGJ 2012. Built with Unity 3D. 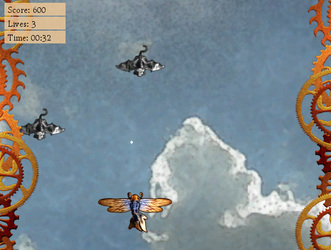 Salvage, Global Game Jam, 48 Hour Prototype, 2009 - "Our game is about teamwork and the problems that arise from this wondrous union. You play as Girl who gets lost and falls into an abandoned factory, she finds a robot and helps him, Robot then agrees to help her find the way home. This game is a throwback into the 80s 8bit games. 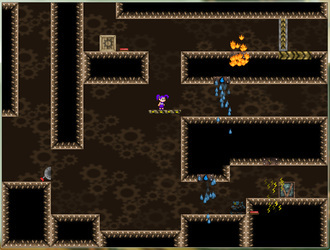 You will be able to switch between Girl and Robot using their different abilities to solve puzzles and navigate obstacles. Will they ever find the way out?" 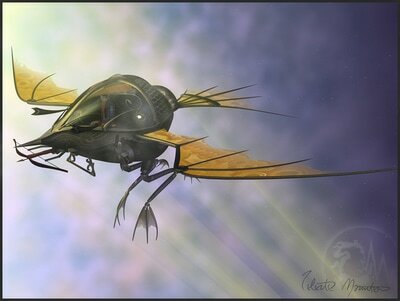 Quixotica, 2011 - "Save the moon from the gargoyle king in this Steampunk-themed shooter, while generating freeform music box melodies." Built with Unity 3D. Original Unreal 3 Mods - Rough Demo, 2009 - This video demonstrates successful import, script modification, and test implementation of three (minor) original Unreal 3 customizations/ mods.